Yesterday I had a bad day....my allergies have been acting up, my boss keeps asking me to do more work for no more pay, and my water heater is dripping this gross orange liquid all over my bathroom. So what do I do to keep my spirits up and relieve stress? Do I run along the Corniche? Do I watch MBC until my eyes fall out? Do I listen to the Scissor Sisters on repeat (I can't get enough of them)? No. Ever since I was a kid, nothing has made me happier than food, especially sugar. So, whenever I feel down, I put on my ugliest, most comfortable clothes, and head down to Juicy Barbar in Hamra for a big Hitler. Something about that heavenly mix of pineapple wedges and strawberry purée topped with pistacio bits and a swirl of vanilla and strawberry soft serve makes me feel like I'm 23 again. But I wonder: is it morally acceptable for me to enjoy the drink named after a man who would have murdered me without hesitation? If I had been in Germany in the 1940s, Hitler's regime would have tortured me, starved me, and performed radical surgeries on my brain. Somehow, it seems wrong to savor frosty goodness in his namesake, even though I'm sure Hitler's family is not receiving royalties from Barbar. Does gorging myself on strawberry soft serve implicitly endorse the actions of the Nazis?Also, when did Hitler go from topical to tropical? I don't remember reading anything about a forest of pineapple trees in the Rhineland. 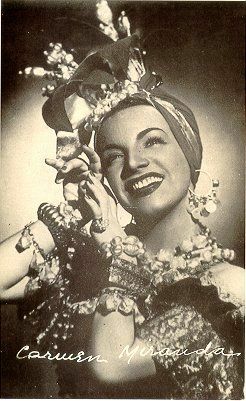 I keep imagining Adolf dressed up like Carmen Miranda. It's unsettling.